Size : (1/16, 5/64, 3/32, 1/8, 5/32, 3/16, 1/4, 5/16, 3/8) Inch. Eastman Plastic Mallet Hammer 40mm.. 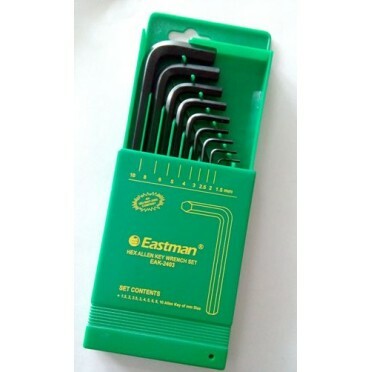 Features :Eastman Plastic MalletSize : 25mm, 30mm, 40mm, 50mm.. Features :Champhered HeadsChrome Vanadium SteelFully Heat Treated 48-52 HRCBlack FinishSize : 1.5mm ..